A voluntary approach to protecting local oak woodlands has received a unanimous thumbs-up from the SLO County Board of Supervisors. 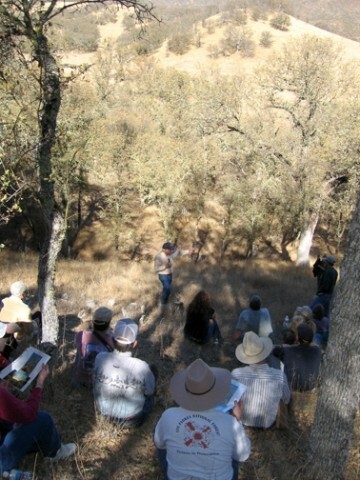 SAVING THE OAKS : Members of SLO Countys Oak Resources Committee gathered at the Avenales Ranch earlier this month for an educational program sponsored by UC Cooperative Extension, "Oaks: The Next Re-Generation." # The supes on Dec. 19 adopted all of the recommendations from the Oak Resources Committee, a group set up in July to respond to a recent grand jury report calling for a countywide ordinance and strict enforcement to protect oak trees. 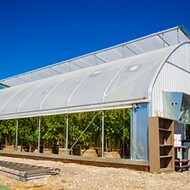 After eight meetings and extensive discussions, the Oak Resources Committee made up of stakeholders including agricultural interests, environmentalists, builders, and interested public members reported its support for a voluntary oak woodlands management program, "rather than embark upon the more costly and difficult process required to develop and adopt an oak tree ordinance." 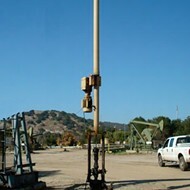 The adopted recommendations include the completion of a scientific assessment to quantify the county's oak woodlands hiring a county staff person to develop and implement a voluntary oak woodlands management program and tracking and monitoring all oak tree removals and replacements related to development. Hiring a staff person for oak resources would allow oak mitigation funds from SB 1334, the Kuehl bill, to be used in San Luis Obispo County, supervisors were told. A "minority report" was also submitted to the Board of Supervisors. Signed by committee member Richard Hawley of the Cambria Land Trust, that report recommended a tougher approach to saving oak woodlands, including developing a countywide ordinance, providing tax relief for landowners who permanently conserve oak woodlands, and increasing fines for the willful destruction of oak trees. Hawley also suggested that information should be collected to accurately assess where the county's oak resources are likely to be threatened by development, and to evaluate the success or failure of seedlings planted as mitigation for the removal of oak trees. Oak woodlands cover more than one-third of SLO County 726,000 acres with 80 percent in private ownership, according to Supervisor Jim Patterson, who chaired the Oak Resources Committee. "Oaks provide habitat to more different animals in California than any other ecosystem," Patterson told supervisors. Half of California's oak woodlands have been lost since statehood, and are now impacted by development, disease, and firewood production, he said. In an e-mail to committee members after the supervisors' adoption of their recommendations, Patterson wrote, "While we all didn't get everything we wanted, I believe that we are on our way to implementing programs that will accomplish the goal of protecting our oak woodland resources."